Following in some pretty big footsteps, Ender’s Game is the latest in a long line of films to be adapted from an extremely popular young adult novel. Written by Orson Scott Card, Ender’s Game is a science-fiction story in which children are recruited by a military desperate to avoid a repeat of an alien attack that almost destroyed Earth. Not being familiar with any of the books – of which there are 11 in total – I can only assume that quite a bit has been lost in the translation from page to screen because the film is a somewhat bland affair despite the credentials of those involved. Helmed by South African-born director Gavin Hood (Tsotsi, Rendition), Ender’s Game is set in a future where Earth, having survived an attack by insect-like creatures called Formics 50 years earlier, has established an elite force of child soldiers in preparation for another attack that may, or may not, come. 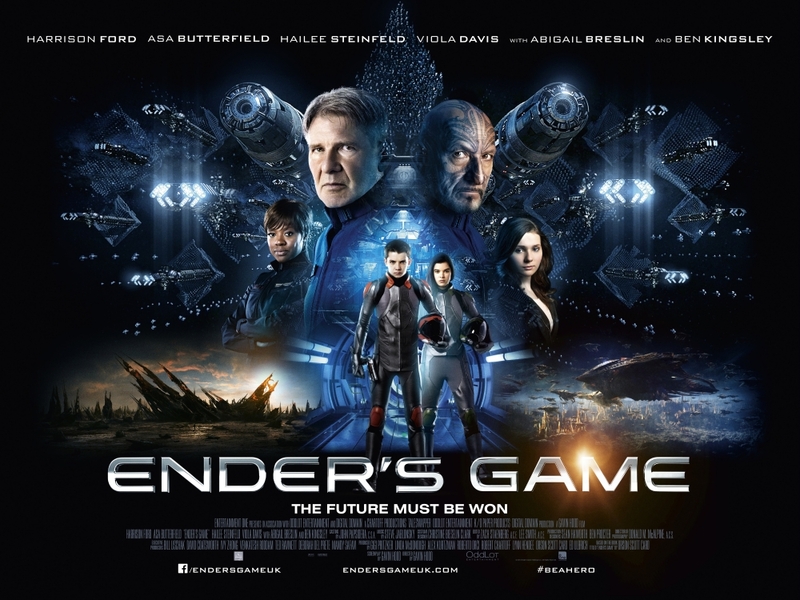 When Ender Wiggins (Asa Butterfield, Hugo) is identified by program mastermind Colonel Graff (Harrison Ford) as a potential leader, he is whisked away from his family to a training camp in space and fast tracked through the ranks, accumulating friends and enemies along the way. The problem is that the whole narrative seems to have been fast tracked in an effort to fit what is clearly a much more complex story into a reasonable running time. Everything happens so quickly that there is little opportunity to establish any connection with the characters. 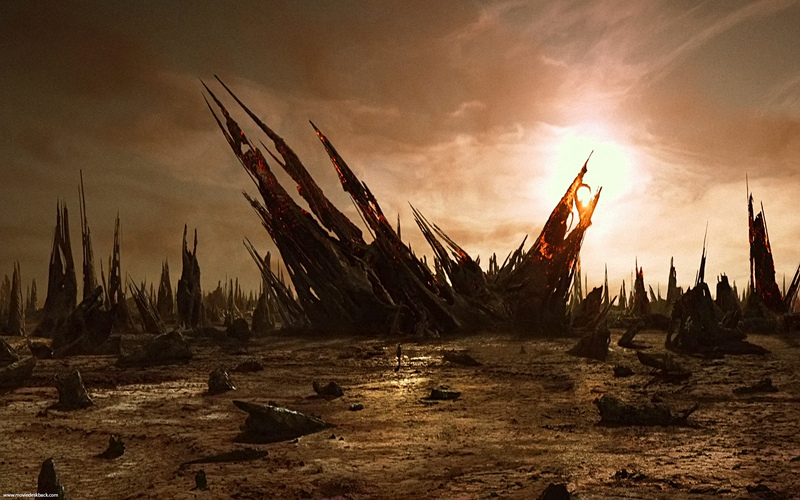 At one point, Ender quits his position and returns to Earth, only for his sister Valentine (Abigail Breslin) to convince him that he should return to the program, all in the space of three minutes. In his rapid ascension into leadership, Ender’s relationship with his fellow recruits fluctuates with ridiculous inconsistency; hatred and distrust turns to respect and friendship in the blink of an eye. The only constant in these relationships is the friendship between Ender and Petra (Hailee Steinfeld, Academy Award nominee for True Grit). The lack of characterisation renders several players, such as bully Bonzo (Moises Arias) and Sargent Dapp (Nonso Anozie), as nothing more than clichés, while other seemingly important characters (such as Breslin’s Valentine) are simply absent for all but the most fleeting of moments. The dialogue is clunky to the point of being cringe worthy at times, which will probably bother adults more so than the target teen audience. Having been part of some of the most iconic science-fiction films in history (namely Star Wars and Bladerunner), Ford’s much anticipated return to the genre is ultimately a very underwhelming experience. He is leaden as Graff and seems disinterested in the movie and his part in it. Viola Davis tries her best to breathe life into a somewhat thankless role as Major Anderson, while Ben Kingsley’s half-Maori Mazer Rackham is hilarious, but unintentionally so one must assume. 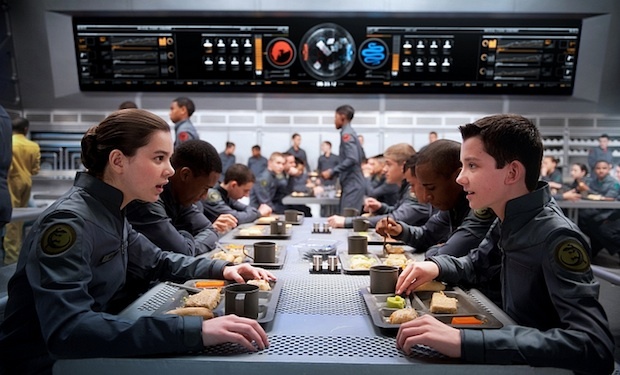 Although set in the future, Ender’s Game touches on many important moral issues that seem ripped from today’s headlines, such as bullying and the use of child soldiers in war, but the frenetic pace of the narrative means that none of these are addressed in any depth, which is a shame. In fact, at one point, Ender challenges Graff’s get-them-before-they-get-you plan to launch a pre-emptive strike on the perceived enemy, but there is no time to dwell on the ethics of such a strategy and we keep moving. Technically, the film looks great. The outer space environment is rendered very effectively and the digital animation for the gaming sequences is particularly impressive. Given the number of books in the series and the short shrift afforded so much of the exposition in this film, perhaps this story is one that needed to be told over a longer format. A series of films or a television series would allow the characters – including those on Earth who are all but forgotten in this version – and their relationships to be fleshed out in more detail. Despite a quality cast and a considerable budget (over $100 million), Ender’s Game fails to deliver as an action film or an examination of the ethics of war, however there is every reason to believe that young audiences (particularly those familiar with the books) will lap it up regardless.